If you’ve ever stepped into the tile section of your local home improvement store, you know that there are many options available for tile floors. Some of them are very durable and extremely resilient to scratches and heavy foot traffic – like porcelain or ceramic tile. There are also some types of flooring that are on the opposite spectrum and are very delicate, like marble. Because of the variety of products available in the tile industry, there are a range of specialized chemicals that are specifically developed to service each unique product. The other factor to consider when cleaning tile floors is the grout. Often times, the color of the grout is different and made to match the color of the floor tiles. If not carefully serviced, the grout could react to the chemical agent and take on a lighter or darker version of the original color. Our technicians use chemicals that are product specific to ensure your tile floors retain their beauty. There is a variety of equipment that is available to clean the vast array of tile and grout on the market. 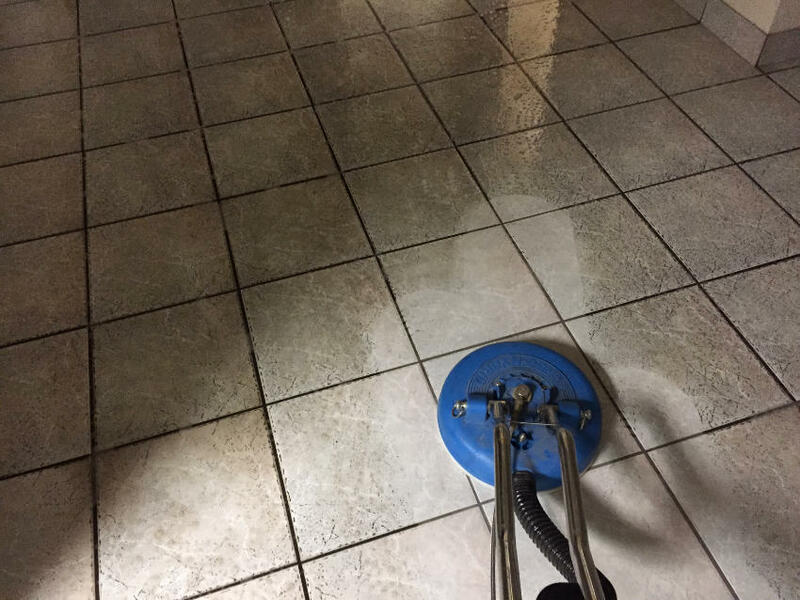 Since the selection of available floor tile includes smooth surfaces, semi rough surfaces, and (in some situations) very porous materials, using the proper equipment to clean them also is crucial in maintaining their quality. For example, a single jet shooting water at high pressure is most effective to properly clean one specific type of tile, but another tile product may require multiple high pressure jets spinning rapidly in a clockwise rotation. In order to ensure that your floors are the cleanest they can be, identifying the material and combining the proper chemicals and equipment is essential. Please contact a representative today at 888-67-MYFLOOR for a free consultation.